Lead Beijing trade negotiator/Vice Premier Liu He said it’ll take time to resolve differences between both countries. 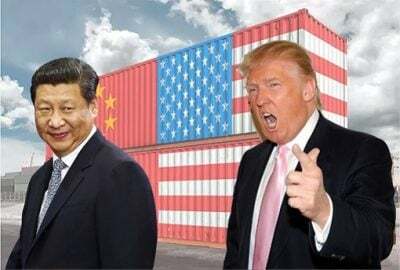 In 2017, China’s trade surplus with America was a record-high $375 billion. The devil is in the details on what was agreed on – to be discussed in further talks. Nor was anything said about Trump’s announced tariffs on Chinese imports. “China believes that in order to reduce the US trade deficit, the US should further open its domestic market to Chinese buyers.” Beijing wants access to US high-tech products. GT called this issue a key bilateral trade sticking dispute, certain US products off-limits to Chinese buyers. Beijing wants this policy ended. They agreed to cooperate in protecting intellectual property, along with maintaining high-level contacts to resolve trade disputes. They vowed to avoid a trade war. China’s delegation was led by Vice Premier Liu He, Washington represented by Treasury Secretary Steven Mnuchin, Commerce Secretary Wilbur Ross and Trade Representative Robert Lighthizer. “(T)here’s no quick solution” to bilateral differences on trade. It’s unclear when further talks will be held. China’s Foreign Ministry dismissed the reported claim that Liu offered to cut the trade surplus with America by $200 billion, adding talks continue. For now, it appears a trade war is averted. Whether consensus can be reached on key sticking points could prove another matter entirely. Bilateral differences are far from resolved.